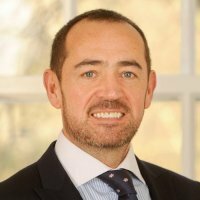 Jon joined Begbies Traynor in London in 1997 and has over 20 years experience working on all types of corporate and personal insolvency procedures. He is a Licensed Insolvency Practitioner and a fellow of R3, The Association of Business Recovery Professionals. Since returning to Brighton in 2008 Jon has worked on various local assignments in all sectors, but with a focus on restructuring and business rescue. In his spare time, amongst other sports and running after his kids, Jon enjoys triathlon and has recently completed an Ironman distance race.